Proof Drinks is an innovative premium drinks company that specialises in importing, distributing and marketing unique alcohol brands. The Proof Drinks team wanted us to completely redesign their website. As a rapidly growing company with new brands being added regularly, they felt it was time to bring their site into the modern era. We worked with Proof to develop and launch a high-performance site with standout visuals to give users a better experience. We created dynamic transitions for the content slider on the homepage. This enhances the grungy style, gives users an engaging visual experience and draws attention to the stories Proof wanted to tell. Clear and consistent UI elements make the website very easy to navigate. Because Proof’s customers are both mobile and desktop users we wanted the website to be fully accessible. 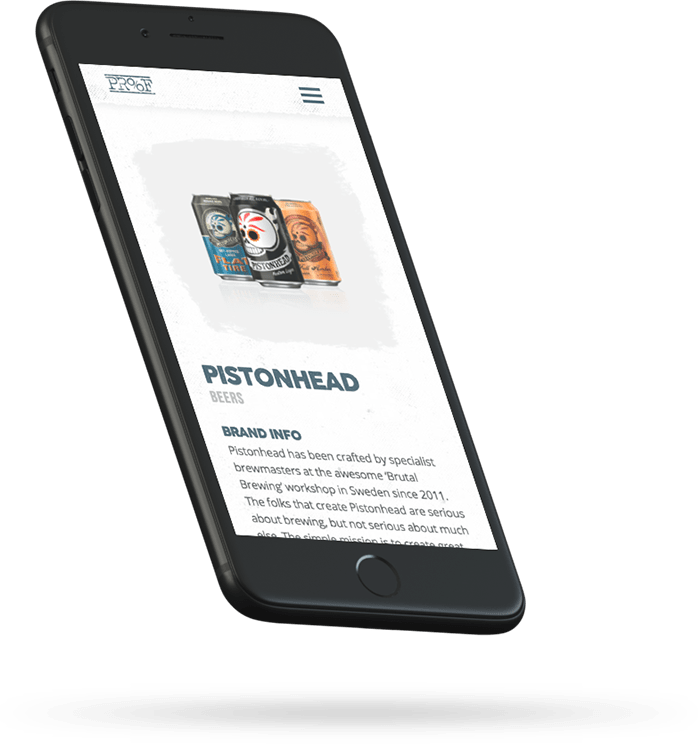 As with everything we develop, the Proof Drinks site is responsive across all devices and screen sizes. Not only does the site perform effectively on mobile, the visuals and transitions look great on smaller screens. "Supremo were a very professional and talented company. They were able to understand our brand quickly and created the website in just six weeks." 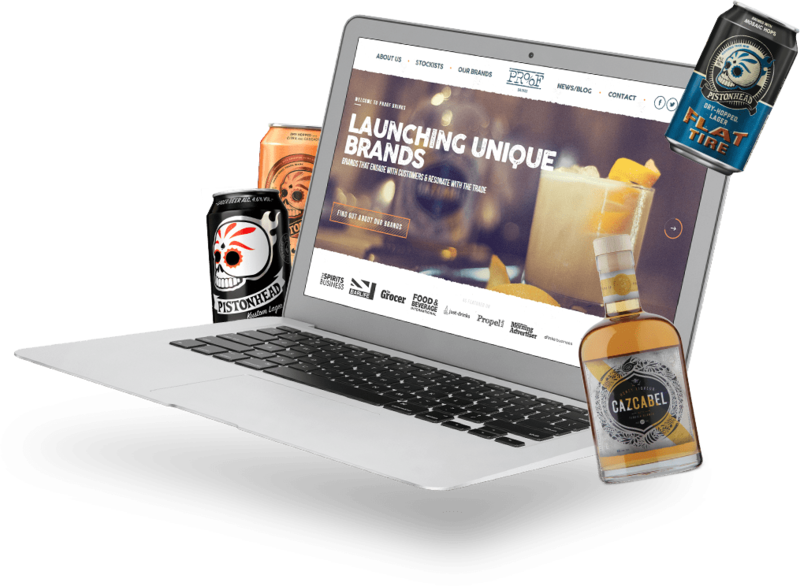 Proof Drinks needed the website to be scalable and easy to manage, to cope with the expansion of their business. We developed a flexible design backed with WordPress. The platform is intuitive to use, and Proof have complete control over their content. It’s now easy for Proof to add new brands to their drinks roster, add new team members and update their news section.